If your LakeCountyEye had a dollar for every request for a campaign contribution that is sitting in the spam folder, then your candidate might get a nice donation. But (note to Operatives) don't hold your breath. 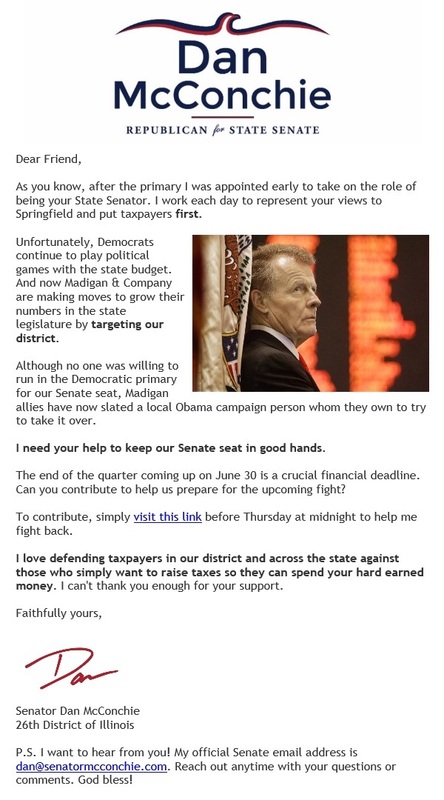 ... Madigan allies have now slated a local Obama campaign person whom they own to try to take it over. In related news, the Thirteenth Amendment -- which abolishes slavery in the United States -- was ratified on December 6, 1865. When asked to make sense of the discrepancy, one neutral observer said: "Some of these trumbolones are still fighting the Civil War."